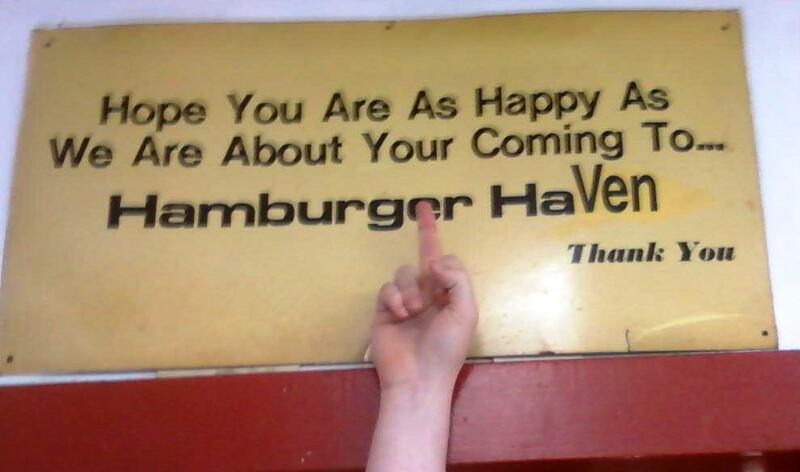 It should be noted that the same folks that own and operate Hamburger Habit were also behind the war crimes committed at Hamburger Haven. 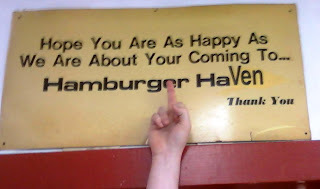 If you will recall--Hamburger Habit was weak and crappy. These cats were consistent. 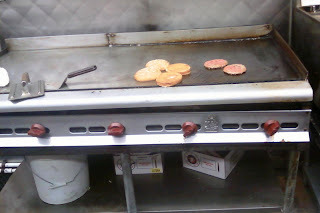 The burgers started off their lives as pre-formed, flat, pinkish gray, but mottled with greenish brown (see the photo) pucks. 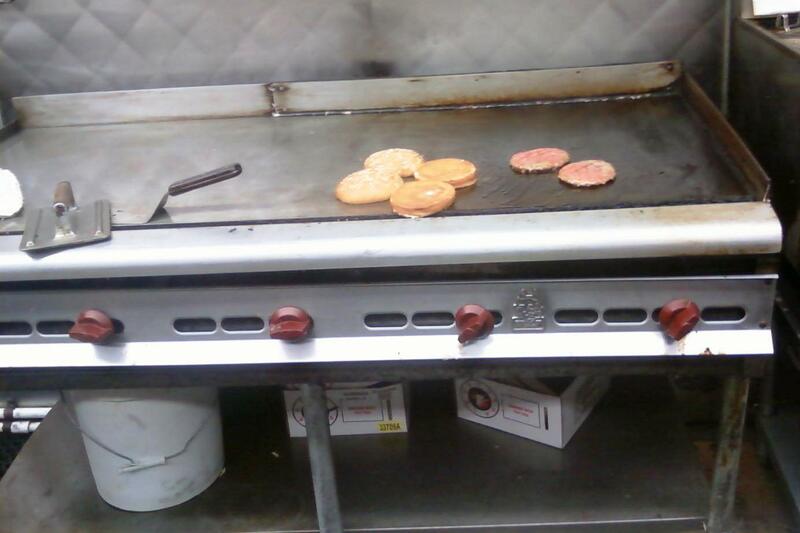 They were cooked in a clean kitchen on a well-seasoned griddle, which imparted a nice sear to the burger. The buns were toasted, which was a nice touch. HOWEVER--the beef was unseasoned and overcooked. The fat content was low, so the burger came out dry. The bland cheese was sliced thin enough to read through, so don't expect any moisture or flavor to come from that. The bun--well, the bun was freaking HUGE and dry. 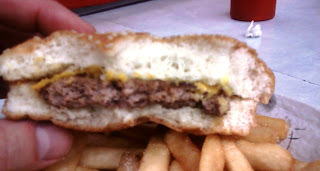 So, what I got was a big, bland, dry cheeseburger and the realization that the sign outside was terrorist propaganda. The fries were GD good, though. Burger Review : If you eat this burger, the terrorists win.